for $699,900 with 2 bedrooms and 3 full baths. 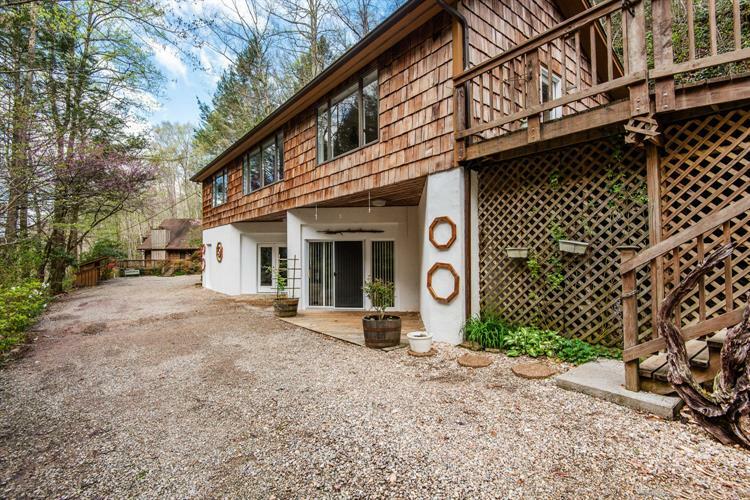 This 2,335 square foot home was built in 1972. Don't miss the opportunity to own two houses in the heart of Pittman Center. This unique property offers the main house with a guest house on 1 acre of land. The main house is a 2 bedroom, 3 bath with a bunk room. Updated kitchen with new granite countertops and stainless steel appliances. This home is fully furnished with all new furnishings. The guest house offers 2 bedroom, 2 bath with a bunk room and 1, 592 sqft. Fully updated with great finishes and amazing mountain views and also fully furnished. Great new kitchen with white shaker cabinets, granite countertops and stainless steel appliances. Enjoy the Mountain views from the huge deck and screened in porch. This property offers its own private stream. These two properties total 3, 927 sqft. Great projected rental income.